It is no secret that Desiring God ministries, with Pastor John Piper, have been offering all of his books for free in PDF for some time now. Just go to www.desiringgod.org and search for the book you want and then download for free. This can easily be accomplished for eReaders like the Kindle as well. 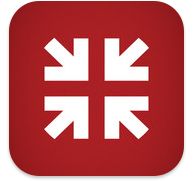 You can get the Desiring God app for iPhone or IPad and get all the sermons, transcripts, videos and books for free all the more easily. Get it and be blessed!